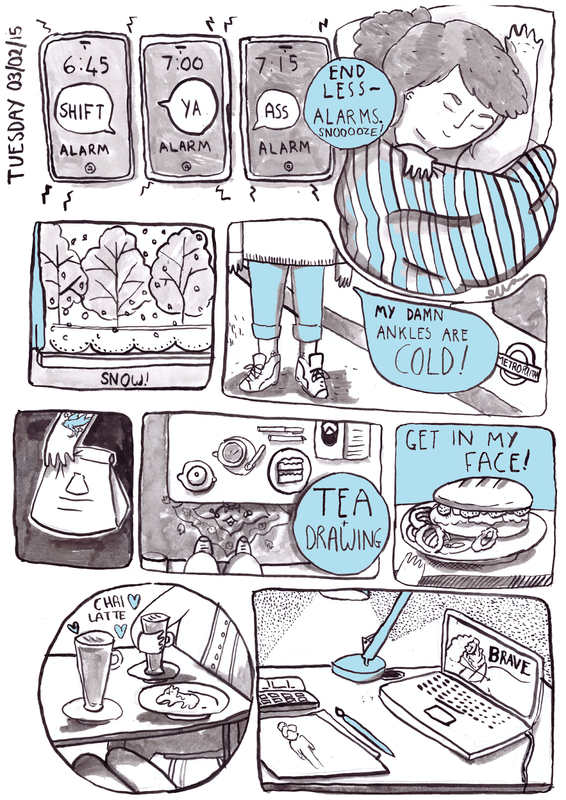 Ella Illustrates is an illustrated account of the fun, mundane and odd things I get up on a daily basis as a tea drinking freelance Illustrator in London. I absolutely love this! That's definitely me as well with all those alarms 😉 haha. Is is fantastic, love it! I really like your style of drawing or can I say cartooning? Do you use good old fashion pen and paper still or an app? For my illustrations I've started to use an app called Sketches. which after some getting used to I'm beginning to like. Would like to know what you think. Many thanks. This is so sweet! What a creative way to share your day!